The 13th World Conference on the Future of Science will be held on September 21st-22nd 2017, in Venice, Italy, at the Fondazione Giorgio Cini on the Isle of San Giorgio Maggiore. 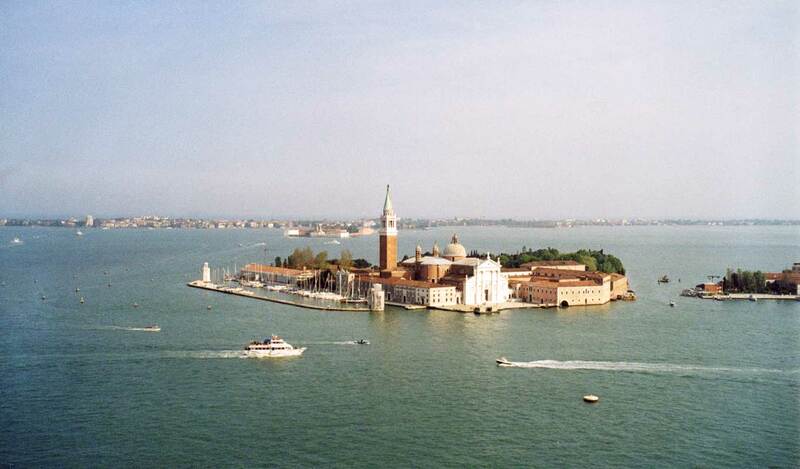 The Isle of San Giorgio lies in the St.Mark's Basin, facing the Doges' Palace, the main city's monument. This institution was founded by Vittorio Cini to commemorate his son Giorgio, who had tragically died in an air crash on 31 August 1949. Created on 20 April 1951, the Foundation was granted official juridical status by a degree of the President of the Republic on July 12th the same year. The state-owned island of San Giorgio Maggiore was made available to the Foundation, provided the monumental part was properly restored and became the centre of the Foundation’s activities. In little over a year, with his typical spirit and energy, Vittorio Cini transformed an irreparable loss into an endeavour perpetuating the memory of his son Giorgio. Vittorio made over most of his possessions to a project that was to mark the history of Italian culture and have echoes and repercussions worldwide. While restoration work was underway, the Foundation had to tackle two long-standing socio-economic problems, which in the post-war period were particularly acute and deeply felt. The first problem was that of young people suffering from family difficulties and social hardship with no outlets in traditional forms of education and schooling or structures able to help them to prepare and obtain qualifications for life in the new society. The other problem concerned the decline in rigorous high-standard research work, since the universes didn't even have suitable means to educate their students, the art colleges were stagnant, and there were almost no institutes for research or specialised higher education. The Foundation met the first challenge by creating two social centres: A Naval Training Centre and an Arts and Crafts Centre. They played a pioneering role and had a nationwide catalysing effect (they even influenced the reform and drafting of new curricula for professional state education). To tackle the second problem, the Foundation created the Centre of Culture and Civilisation. Aimed at contributing to scientific and cultural progress, this even wider-ranging initiative embraced the School of San Giorgio for the Study of Venetian Civilisation, which was divided into three institutes for advanced research. The Centre of Culture and Civilisation set out to promote and encourage high-standard events by organising a continuous series of international congresses and conferences to explore current artistic, scientific, social, cultural and economic issues as well as staging various other kinds of events: exhibitions, theatre, opera, and concerts. Today there are eight institutes and they have mainly lost their specifically Venetian character to become thoroughgoing international research centres. Inspired by Anglo-Saxon type institutes for advance studies, the Foundation Institutes promote exhibitions, conferences, workshops, and courses. They also publish books and periodicals, and offer hospitality to researchers and scholars who make use of the invaluable archive collections. Created in 1954, the Institute of Art History has three main kinds of activities: the organisation and patronage of research and publications, especially applied to the Veneto area; exhibitions; and lectures, workshops and conferences. The Institute also boasts a photographic library, a unique research facility now housing over 730,000 photographs, mostly dedicated to the art of the Veneto. This huge collection also contains 40,000 photographs in the Regional Photographic Archives, placed in the Foundation’s care in 1981 by the Veneto Region. The Institute’s publishing activities include not only exhibition catalogues and art collections, essays and monographs dedicated to artists, collections or genres, but also two reviews: Arte Veneta and Saggi e Memorie di Storia dell’Arte, which after decades of activity have become vital reference works for scholars worldwide. Lastly, mention must be made of the very rich Institute library, consisting of over 110,000 books kept in the building designed in 1641 by Baldassare Longhena. In addition to collections of modern texts, the library also has a unique corpus of incunabula and illustrated Renaissance works, consisting of 1,956 books (including 401 printed in Venice). The Institute is also responsible for studying and preserving the Cini Foundation art collections. This Institute was created in 1955 with the objective of promoting the study of the Venetian state and society. Over the years, especially thanks to its microfilm library – a physically vast documentary resource, also including original documents (a whole series of diplomatic dispatches and correspondence) – the Institute has become a reference facility for all scholars wishing to consult complementary sources to the Venetian libraries (especially the collections in Venetian State Archives) or originals which, although Venetian, have ended up in foreign archives and libraries and therefore cannot be consulted in Venice. The Institute's research activities include a host of conferences and workshops, as well as publications such as Studi veneziani, a prestigious annual review. Created in 1957, as its name suggests this Institute is very active in the research fields of literature, theatre and opera. An essential part of the literature section is the study of Venetian, the local dialect, once the principal language of the people, administration and literature. In this field the Veneto Lexical Archives is the most important tool for research and cataloguing. Its over 400,000 files document the spread of Venetian on the mainland and throughout the Mediterranean. The Mediterranean is also the subject of another major Institute project, the “Mediterranean Linguistic Atlas”, conceived in 1958 to highlight the linguistic links underlying relations between the peoples and civilisations in the Mediterranean basin. The Institute also houses several other archives, consisting of the correspondence of leading literary and theatrical figures (Eleonora Duse, Gabriele D’Annunzio, Giovanni Pascoli, and Diego Valeri). The theatre section contains various collections and archives, the principal ones being the Ulderico Rolandi Archives, the largest collection of librettos in Europe, and the Theatre Iconography Archives, consisting of over 16,000 photographs of stage sets and theatre architecture. This Institute was founded in 1958 with the main aim of promoting studies of the civilisations of India and the Far East. Over the years the Institute has become a centre of constant dialogue between East and West, and their respective peoples, civilisations and religions. Thanks to its very rich library, workshops, and conferences, as well as the publication of a series of books (Orientalia Venetiana), the Institute is visited by scholars from all over the world. One particularly important collection is the Alain Daniélou Indological Archives, containing not only books and periodicals but also hundreds of thousands of files on the Indian tradition, now being catalogued digitally. Founded in 1947 by Antonio Fanna, the Institute joined the foundation in 1978 to mark the 300th anniversary of the composer's birth. The Institute's main activities are the critical edition of the whole Vivaldi corpus (around 800 instrumental, vocal and operatic works). Each composition is accompanied by historical notes, suggestions for performers and a critical apparatus in English and Italian. The Institute has also recently begun publishing Vivaldi’s music (both manuscript and printed) in facsimile form. Lastly, the Institute also publishes studies in a series called Quaderni Vivaldiani and the annual review Studi Vivaldiani. The Institute of Music was created in 1985 and boasts important archives and collections: polyphonic vocal sacred and profane Veneto music from the 16th and 17th centuries; a unique collection of archives of various 20th-century Italian composers and musicians (Gian Franceso Malipiero, Alfredo Casella, Camillo Togni, Nino Rota, Luigi Cortese, Olga Rudge and Gino Gorini), with original documents (correspondence, writings, autograph compositions and drafts); the Arrigo Boito Collection consisting of music manuscripts, correspondence and original autograph librettos; and the Aurel Milloss archives, including the famous choreographer’s music library. The archives are a very useful facility for research, study and cultural projects, and have given rise to the publication of essays, critical editions, catalogues and performances (especially of rare and previously unperformed works). The Institute also promotes research projects for 16th and 17th century sacred music, Venetian farce and the music for Goldoni’s theatre. The Institute continuously collaborates with the Luigi Nono Archives, and organises annual study meetings. Lastly, the Institute also owns the National Edition of the Works by Andrea Gabrielli. This institute was created in 1978 by Alan Alain Daniélou in conjunction with the International Institute for Comparative Music Studies and Documentation, Berlin, in order to promote and spread knowledge about the highest forms of music in non-Western civilisations. The Institute has always focused on introducing leading performers of traditional music from Oriental and African countries to Western audiences. Through its Intercultural School of Music, the Institute also organises education activities based on theoretical and practical teaching of the great world music traditions. Created in 2002, the Institute highlights the Foundation’s permanent commitment to improve dialogue between cultures, religions and traditions in Europe. The Institute's activities continue a tradition of research into the Greek-Byzantine world and countries in Eastern Europe, combined with a focus on the Mediterranean dimension in Europe, the themes of dialogue and relations, especially with the Near East and Islam, and the key centres involved in forging a new European culture. To this end, it has organised – and organises – seminars and conferences as well as research projects and study workshops.